G is a huge tech geek. There isn't a new gadget that he's not interested in and right from the start of moving into our house, he said he wanted to turn it into a 'smarthome'. I had no idea what he was talking about back then but slowly and surely, he's managed to create the smarthome he has always wanted. From wi-fi controlled light bulbs to motion sensors, there's a whole bunch of things that we can now control via our smartphones. First off, this wireless home network is controlled via a hub called Samsung SmartThings. It connects all the different pieces of equipment together and then we use the SmartThings app on our phone to command each piece of equipment. Our TV, amp, Xbox and Apple TV are connected and controlled via one remote control called Harmony. We also have the Sonos speaker which uses wi-fi to play music, streaming through the phone/iTunes/Amazon music/Spotify etc. It's also linked to motion sensors around the house with preset voice messages such as 'welcome home'. See below. Motion sensors are placed near our front door and back door and any movements will send alerts to our phone if we are not at home. It acts as a home security alarm but without the noise. The sensors are linked to a recorded camera which can be viewed on the iPhone. It can also be connected to a speaker like our Sonos one and play messages such as 'welcome home' as we walk through the door. Nest Protect is a smoke and carbon monoxide detector. If it detects anything, alerts are sent to our phones and it will speak out aloud too. It can also be connected to the Sonos speaker, helpful if one is upstairs and the other downstairs. Most of the light bulbs we have can be switched on/off via the phone. So helpful when you don't fancy leaving your cosy bed to turn the lights off! It can also be dimmed or brightened, and this has proven to be brilliant whilst doing the night feeds with Isaac. LIFX bulbs can change to any colour you desire; yellow, blue, pink, etc. Great for creating different moods and parties. Osram Lightify bulbs are standard white lights. 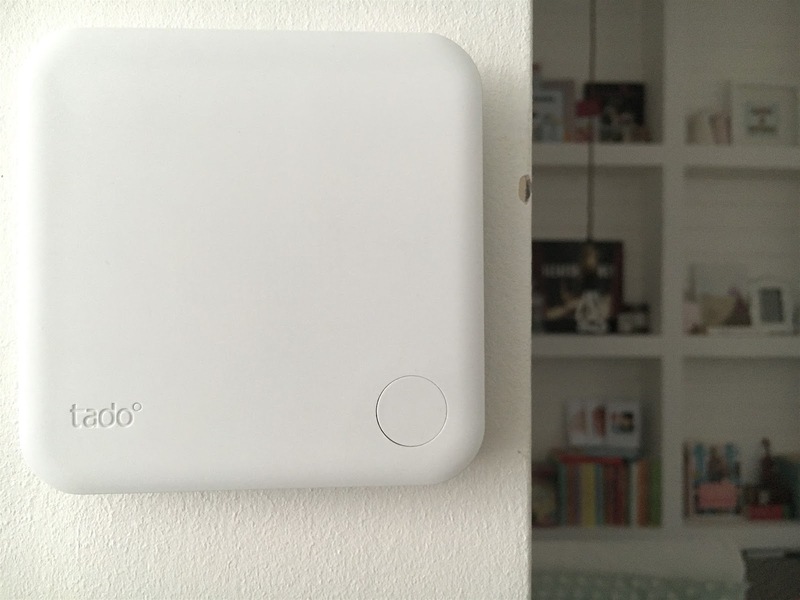 Our Tado thermostat allows us to turn the heating on/off and change the temperature using our phones. An auto timer for set periods and a consistent preferred temperature can also be set. You can imagine how handy this is in the Winter. And finally, smart plug adapters. We have the kettle plugged into one so we can switch on the kettle with our phones to have boiling water ready for our morning cuppa before we've even got out of bed! If you fancy finding out how you can smart-proof your home, Dewired.co.uk have a whole host of gadgets to browse through. What do you think of our Smarthome network? Intelligent or just too fussy? This is a collaborative post, all opinions are my own.